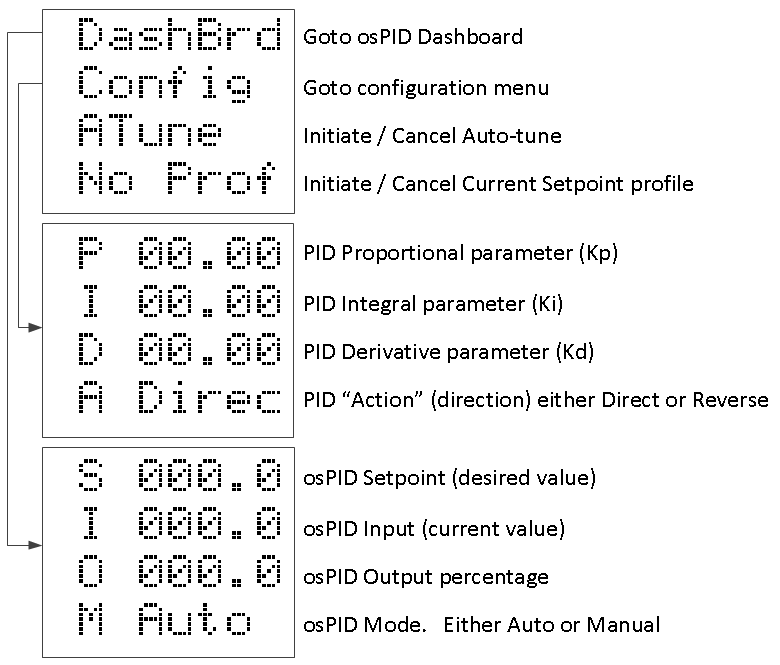 The osPID contains a basic menu structure which allows for standard operation without the need for a computer connection. The Value item is the most complex of the 3 items. 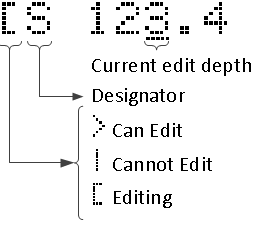 By pressing OK multiple times, you can change the “edit depth.” In the image above, OK was pressed 3 times to edit the “ones” place. Up and down are then used to edit the current level. We feel that this method has distinct advantages over the more common “press and hold” technique. 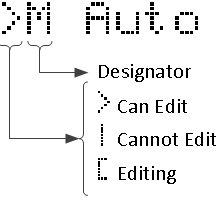 The option menu item is used to edit values that have 2 or more states. Unlike the value item there is no edit depth. 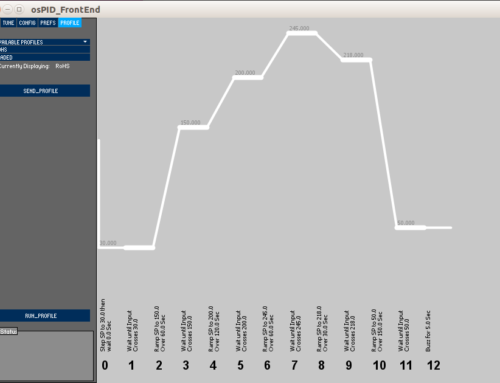 OK is pressed once to initiate editing, then UP/DOWN are used to change the state.